#1 A Compilation of 10 Amazing Stories/Videos from different Christians of the work of Jesus Christ. Powerful testimonies of what Jesus can do, even to the worst of people. Jesus wants the world to know the horrible reality of Hell. Mary was shown what happens to souls when they die & to unbelievers & servants of God who don't obey their calling. by Kat Kerr An amazing tour of Heaven, answering many of the questions that people have, and giving good illustrations of what Heaven looks like. A must read for all who are awaiting the Kingdom of God. Being a Pastor, Daniel thought his savation was secure, until he died. He was sent back with one more chance at life, and a great eye witness account of Heaven and Hell. receiving the gift of tongues. Hear the awesome story of 16 different people who were eyewitnesses of the Supernatural, and saw Jesus, Angels, Heaven & Hell. by Emmanuel Eni. An amazing escape from the powers of satan - witchcraft - occult to Jesus. This shows Jesus in glorious ways that I've never considered, realms that I didn't know existed, tactics of our enemy and unspeakable marvels of our God. 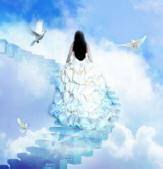 Find how to discover the secret of the hidden stairway into the heart of God! And how to pursue Christ as His bride. The John G. Lake ministry has over 1 million recorded healings, & has trained over 40,000 people in the healing ministry; correcting many misconceptions about Healing. Please listen, learn & Get to Work! The movie that all people must see; how their loving savior suffered and died for mankind. Don';t hide your eyes from the real cost of our sin, and the loving passion of Christ. 5 Remarkable Video Testimonies of Muslim Encounters with Jesus Christ. Men & women - with no knowledge of the Gospel - have been forever transformed after experiencing dreams and visions of Jesus Christ. Jesus showed up in the middle of their prayer group, and gave them a tour of Hell; revealing what happens to the disobedient and wicked. This will help you develop a healthy fear of God, and to avoid the traps of satan. Do you believe heaven really exists? Choo Thomas tells a remarkable story of her encounters with Jesus Christ, where she saw Heaven, Hell, the Rapture and Tribulation. Mary Baxter was shown the Glories of Heaven. These breathtaking glimpses of Heaven will turn your heart toward the beauty and joy that await every believer in Christ. 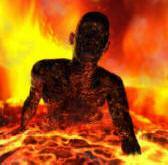 The incredible Testimony of Bill Wiese and his 23 minute trip to Hell. He explains in detail his personal experience of what lost souls have to endure in damnation, and what Jesus saved us from. A Documentary of the Temple/Tabernacle of God. What are the stations of the Temple, and their meanings. How we apply this understanding today. This is the most strategic revelation on spiritual warfare that I've seen. It will send shockwaves around the world, and lead to the fall of many demonic principalities. This revelation will help the Church transition from Defensive to Offensive. Dr. Rawlings MD, a heart surgeon, had personally witnessed many cases of NDEs. This is an account of 5 of the most amazing stories of people who came back from the dead, and what they saw while dead. Another great revelation which will help every believer mature in Christ. Helping us understand God's Call. The 3rd book is now available. After Rev. Yong Park died, he was shown how each person is rewarded in Heaven, and what mistakes can lead a Christian to Hell. Together as a group, these 7 Columbian youths were taken by Jesus Christ and shown Heaven and Hell. Hear their account of the Glories of Heaven, the unimaginable paradise prepared for obedient Christians. Doing what Jesus Did. Learn how to identify, deal with and cast out evil spirits. Teach your children the bible through these exciting animated cartoons. Many different videos covering all topics in the Bible. 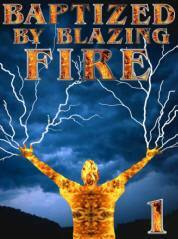 A remarkable near death experience revealing both Hell & Heaven. He was formerly in witchcraft and reveals many secrets of his former practice. He was also given a powerful warning to the Church and America. #2 Compilation of 12 Amazing Testimonies of changed lives, and how God can use even anybody for His Glory. These stories will encourage your faith, and give you hope that God can change anybody. Ian was night diving when he was stung multiple times by highly poisonous Box Jellyfish. After he was declared clinically dead he had an encounter with Jesus Christ, which radically changed the direction of his life. Why do 80-90% of those making a decision for Christ eventually fall away from the faith? What message were they given that made it so likely that they would fall away from God. What message should we be giving people? Arc of the Covenant Found! MIDI, CDs + Songs given out freely. Documenting several worldwide moves of God. The Bible (MP3 and TEXT) in different languages, versions & formats. A powerful and inspiring video testimony regarding a missionary couple to Papua New Guinea. And how God grabbed their whole tribe for His Kingdom. and how do we remove them. Undestanding the issues of Evolution, Intelligent Design & Creation. 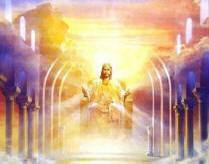 The Amazing story of what Jesus did, during those 3 days in the Grave. The tubulant History of Christianity in China. How did the number of Chinese Christians increase from 700,000 in 1949 to ~130 million today despite stric government control? The incredible story of Frank Jenner and how God used him to spread the good news of Jesus around the world. Affecting countless people, simply by sharing. A powerful vision that warns pastors and preachers of what will happen to those who do NOT preach the FULL counsel of God. For those who serve God, they must Fear God not Man! A wake up call to the Church, giving us a good understanding of satan's weapons and tactics against God's people, and how many Christian are NOT yet ready for Heaven. Hell Is Real, I saw it! Jennifer Perez, a 15 year old girl raised in a Christian home, but later backslid & found herself overdosing on drugs, dying, & being sent to Hell. Fortunately, she was given a 2nd chance, to warn the lost, backslidden, & lukewarm with an urgent message. Chuck Missler covers all the books of the bible, in 24 sessions, which will greatly help each listener develope a strong foundation of the faith. A great resource for learning the necessary steps in ministering deliverance. A Modern Version of the Jesus Film based on the King James Version. The Classic Film of the Life of Jesus, based on Luke's gospel, which has led 100s of Millions of people to faith in Christ. One of the most inspiring Christian videos, challenging the Church to be all that God called us to be. It combines many of the best sermons from Christian Preachers. What battles are waging on the 7 Mountains? What is the Cultural War? What has God spoken through the prophets? by H.A.Baker Such a powerful outpouring of the Holy Spirit onto little poor Chinese Orphans. Documenting the visions & miracles that happened when revival broke out. The children saw angels, demons, heaven, hell, even when they were ignorant of the spiritual truths being revealed to them.